Drowning in credit card bills? Are you struggling every month with credit card bills? Ever wondering what it would be like to never have to pay your credit card bills again? If you qualify, our Washington state bankruptcy lawyers can help you eliminate or discharge 100% of your credit card debt. 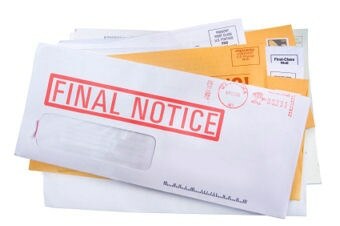 Credit card debt is easily discharged or wiped out in a bankruptcy case. It is considered general unsecured debt - part of the lowest priority of debt in bankruptcy. It doesn’t matter if you are current on your payments, in the middle of a garnishment or delinquent: you can wipe out credit card debt in bankruptcy. As soon as a bankruptcy is filed, credit card companies have to stop trying to collect the debt, charging interest and late fees. If they receive something from a Chapter 7 liquidation or a Chapter 13 debt repayment plan, this amount will not include interest and late fees after the case is filed. You cannot pick and choose which credit cards you want to keep in a bankruptcy. Once you file, you have to include all your credit cards. You will not have access to a credit card after you file. You will have to use a bank debt card for the convenience of paying with a card after you file but you will not have to make credit card payments either. If you know you will file a bankruptcy, you can stop making your payments immediately because the interest, late charges and attorneys’ fees associated with credit cards are wiped out in bankruptcy too. If there is some money in a Chapter 7 or you file a Chapter 13 and make some payments to unsecured creditors, credit card companies must file a “proof of claim” to get paid. This proof of claim only includes the amount due at the time of filing – no future interest or late charges. Limiting the total amount you pay can be a help in Chapter 13 plans or the rare Chapter 7 where assets are liquidated but usually it makes no difference to the debtor – the debt is just wiped out and they have little interest in the total amount at the time of filing. In some rare cases, credit card companies file “adversarial proceedings” to except the debt from the discharge. To accept the debt from discharge, the credit card company has to prove the debtor committed fraud, either by filling out a false application or making charges on the card in anticipation of filing. If you make big charges for luxuries or take out big cash advances just before filing, especially if you do not make payments after making these charges, you expose yourself to the risk of fraud lawsuit. It is unlikely that a credit card company would bother with a fraud lawsuit for small charges for necessities. However, if you have made recent charges on a credit card, even if you had no idea at all you would be filing bankruptcy, you may want to wait a few months before actually filing your case. Credit card debt can get out of control and many people find themselves relying on them every month, making charges and minimum payments. If you suddenly realize that you have little chance of getting out of debt and you are relying on credit cards, you should look into bankruptcy. Talk to an experienced Washington state bankruptcy attorney at the Law Offices of Jason S. Newcombe today. Call now for help and answers.